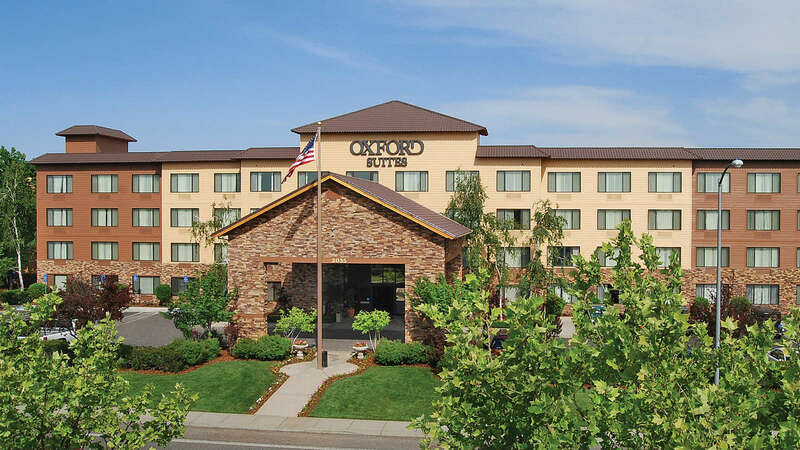 Situated near convenient access to Highway 99, the Oxford Suites Chico is well-equipped to handle all of your travel needs, whether you are traveling for business or looking for a relaxing getaway. With 184 non-smoking suites, the Oxford Suites Chico is your home away from home. Chico is home to California State University, Chico; one of the nation's well-known breweries, Sierra Nevada Brewing Company; as well as the third-largest municipal park in the nation, Bidwell Park. Chico's quaint, historic downtown boasts shops, restaurants and bakeries you won't want to miss. For history buffs, continue exploring the past by visiting the historic Bidwell Mansion. Don't forget to check out the National Yo-Yo Museum to see the world's largest working wooden yo-yo. Experience the best of Chico for yourself. Let us help make your visit memorable!